With this recipe, you can easily turn a meal of rice and curry into a multi-course Indian feast. Red lentils break down quickly and easily and absorb the subtle flavors of the spices with which they're simmered. A final step, sizzling Vanns Cumin Seeds in a few tablespoons of butter before whisking them into the soup, adds a surprising punch of flavor at the end. First, rinse the lentils. Place them in a fine mesh strainer and place the strainer in a bowl big enough to fit the entire strainer. Fill the bowl with water and submerge the lentils, swishing them around with your fingers until the water turns a cloudy orange. Discard the cloudy water and repeat the process with 2 more changes of water. 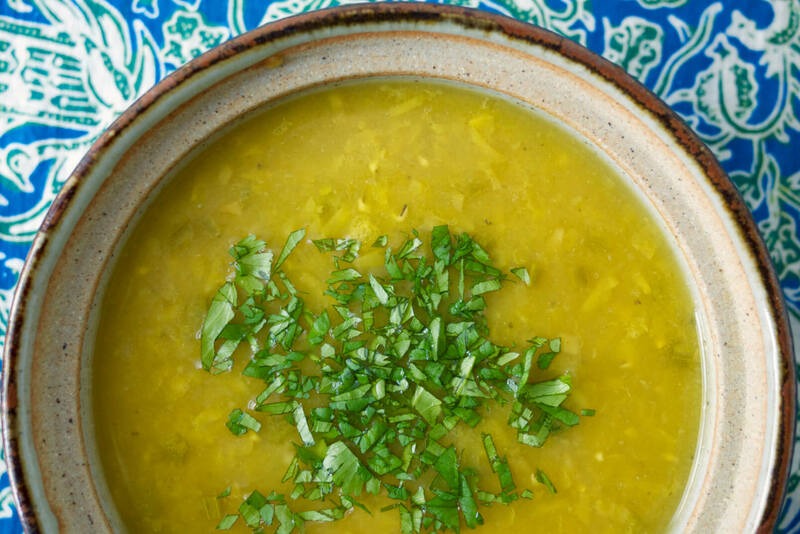 Place the rinsed lentils, 6 ½ cups water, turmeric, coriander, ginger, and chili pepper in a 3-quart saucepan. Bring to a boil over high heat, stirring occasionally. Reduce to a gentle simmer, cover tightly, and simmer for 1 hour, until lentils are soft and fully cooked. Uncover, add 2 tsp. of kosher salt, and use a whisk to beat the dal until the lentils break apart and become creamy and fairly smooth -- there will still be some texture to the soup, though. Heat the ghee or vegetable oil in a small skillet over medium heat until shimmering, swirling the pan to coat with the fat. When the oil is hot, add the cumin seeds and cook until browned and highly fragrant, 1-2 minutes. Pour immediately into the dal soup, using a silicone spatula to scrape all of the seeds and fat out of the skillet. Cover the soup for 1-2 minutes to allow the flavors to meld. Taste for salt and stir in more as desired -- the soup may seem bland until you reach the right balance. Stir in the minced cilantro and serve. Serves 6-8 as an accompaniment to a larger meal. Adapted from The Art of Indian Vegetarian Cooking.